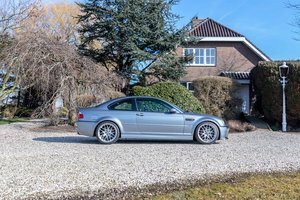 I have lusted after an E46 M3 since they arrived on our roads in 1999. 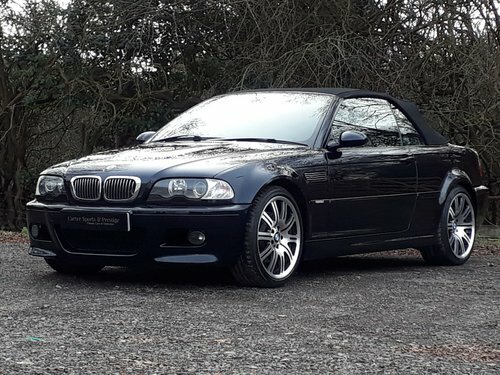 My impeccable 340 BHP quad exhaust paddle shift ultimate driving machine, has been the subject of no expense spared care through her multiple BMW enthusiast owners and only 86,000 miles. 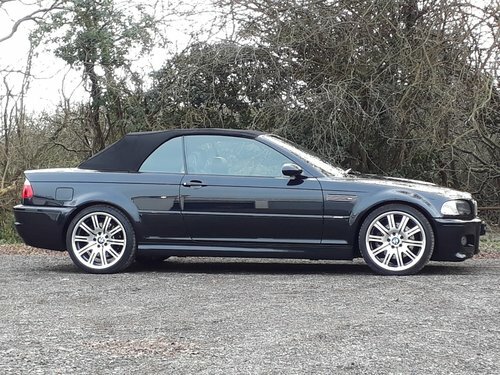 Her midnight blue paintwork is virtually unmarked and has a deep, quality lustre. 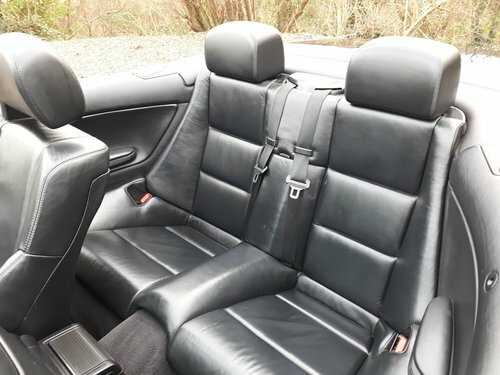 Her convertible hood is as-new and her black leather and carbon-look option interior has defeated the effects of time and presents impeccably with no apparent wear whatsoever. 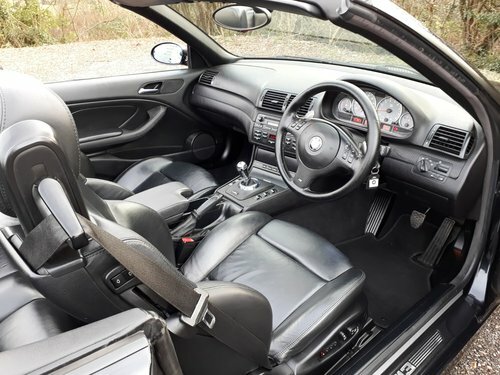 Everything works as BMW intended and she drives faultlessly. The paddle-shift SMG drivetrain is factory smooth, as is the hand built straight six powerplant. 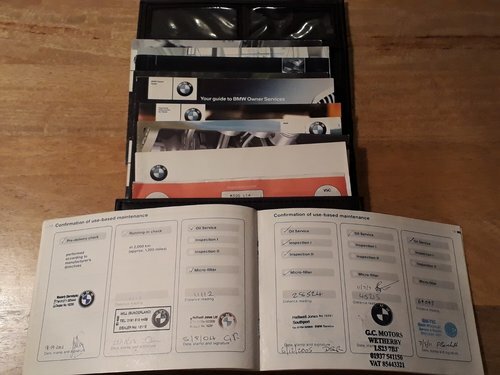 There are 12 BMW main dealer and BMW specialist service stamps in her original Service Book and she has been recently shod with expensive quality tyres, brake discs and pads. Her rear subframe has been cleaned, checked and underseal protected and her engine oil is so clean, that her dipstick can barely be read! 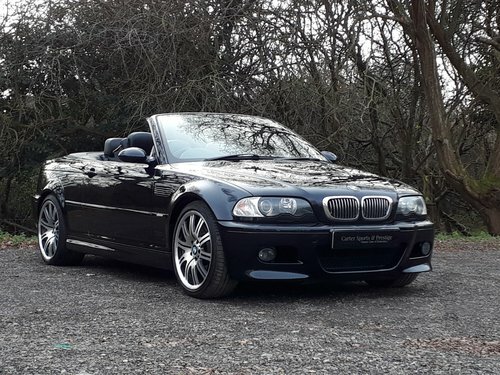 Please note that I love this car so much that I cannot guarantee that her mileage won’t rise before I let her go……. If I let her go! 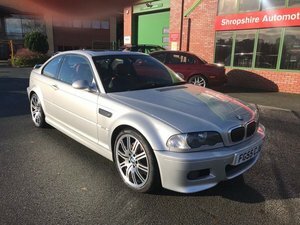 Clever money is on the E46 M3…. 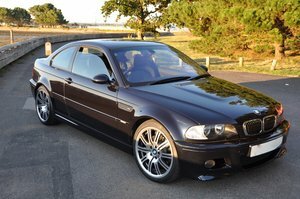 In my opinion, the prettiest and most accomplished M car to date. 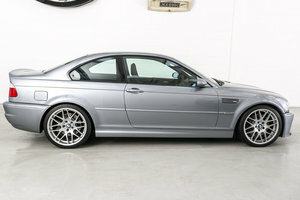 2004 SOLD - SIMILAR WANTED!!! !